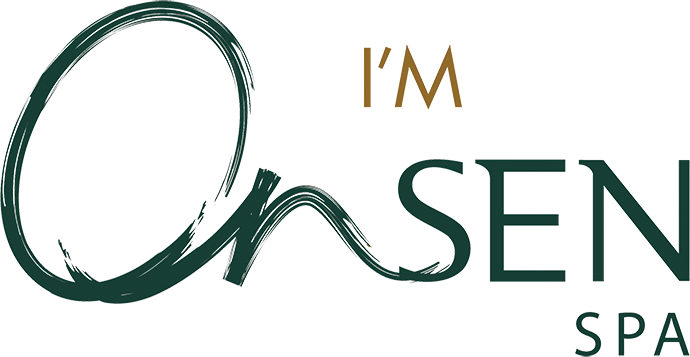 A therapeutic and ultimately unique combination of techniques created exclusively by I’M ONSEN SPA to bring about utmost relaxation, concentration and rejuvenation. Shiatsu is a form of therapeutic bodywork from Japan. It uses kneading, pressing, soothing, tapping, and stretching techniques and is performed without oils through light, comfortable clothing pressure. The effect may be stimulating and invigorating or calming and sedative, depending on the goal of the session. A more localized massage that focuses on the deeper layers of muscle tissue. Slow yet strong pressure is used to release deep seated muscle tensions, aches and pains. A gentle, connective tissue massage technique that accelerates the movement of the lymphatic fluid. The therapist uses precise, rhythmic strokes and this technique helps remove toxins, and decongests all lymphatic pathways. The repetitive and soothing movements also enhances immune function, increases tissue metabolism, improves nutrition to the tissues, reduces pain, and mostly induces deep relaxation. Leave it to the skillful therapist’s firm hands to banish unwanted fatigue and help you loosen up your scalp, neck, shoulders, upper back as well as hands and feet. The perfect treatment to diminish the effects of jet lag. Using precious healing stones from different regions of Philippines to combine all the benefits of thermotherapy. Gliding massage strokes create a deeply relaxing healing treatment, eases muscles and restores the body’s energy and vitality. Philippines’ age-old healing techniques, traditions and ingredients handed through generations. As old as Traditional Chinese Medicine and Ayurveda, this mystical massage has been passed down generations through generations, and never fails to restore health. Based on the concept of energy meridians, the therapist works on energy lines of the body, using pressure point techniques, which helps to stimulate the immune system, increase blood flow and strengthen the well-being. This treatment not only calms the senses but gives a soothing sensation to the entire well-being, made from the age-old traditional cupping techniques and uses therapeutic Asian herbal essences will surely relax, rejuvenate and restore energies. An exotic choice of flower scrubs and spices to choose from which gives a silky, velvety and youthful skin. Relax and detoxify with one of our body silk treatments, and you’ll have the smoothest skin you’ll ever know. Coconut – Sea Salt scrub (*any available scrub) exfoliates your skin to leave it healthy and soft. Ease away the tension and stress of life with I’M Onsen Spa’s luxury body treatments. Indulge in a Ginger-honey body wrap to remove all your body’s toxins and additional scalp massage to pamper you! Our facial treatments use highly active ingredients that will deliver visible results to your skin and leave you feeling relaxed and refreshed. Our own signature facial experience specifically tailored to soothe, restore and purify your skin leaving it conditioned and nourished. It includes a face and pressure point massage to ease the tension away. An executive suite room is arranged to pamper you! The perfect enhancement and defense against premature ageing of skin. This opulent anti- aging treatment feeds the skin with natural essential vitamins and minerals, promoting skin suppleness, oxygenation and rejuvenation. An executive suite room is arranged to pamper you! Collagen and Vitamin C are believed to absorb years of stress and ease away tension from facial muscle, absorbing heat, and consequently relaxing the expression lines and strengthening the immunity of the facial nerves. An executive suite room is arranged to pamper you! Men’s skin deserve as much care and attention as women’s. This treatment will protect your skin against stress and environment factors intensely hydrating it and reducing fine lines. An executive suite room is arranged to pamper you!